The bodies of three immigrants, one young woman, one boy about 5 and a girl about 8 years old were found in different beaches of Lesvos island. Relatives of 9 Syrians refugees missing since the 7th of March, when they tried to cross the Aegean, notified the authorities that their relatives were aboard a vessel carrying 15 immigrants from Dikeli (Turkey). They said that they lost contact with the people in the small boat during their crossing from Dikeli to Mitiliene. Coast guard police has found the bodies of 18 immigrants who were trying to enter Greece from the Aegean. Their boat capsized early Friday. A 20-year-old man found alive Friday told authorities there were 28 people on the crowded boat, including its Turkish owner, when it capsized off the northeastern island of Lesvos, near the Turkish coast. The man, who has been hospitalized, is the sole survivor found so far. A coast guard spokeswoman said the migrants were “of Asian origin” without specifying further. One more immigrant corpse was found on Thursday afternoon in the region of Evros. The immigrant was found dead in the fields of the village Tychero, near Alexandroupolis. He was 20 to 30 years old. Two days ago another immigrant, 25 to 30 years old, was found dead near the village of Nea Vissa, close to the town of Orestiada. The last 2 years more than 80 immigrants have died in Evros. Yesterday, Monday March 19, the Minister of Citizen Protection Michalis Chrisochoidis announced in the Greek Cabinet that a new immigrants’ detention camp will be created in Kozani. The camp will be under the authority of Greek police and will be located in a former military base. The camp’s capacity will be 1,000 inmates. This will be the first official detention camp in Greece. The responsibility for guarding the perimeter of the detention camp will be given to the Greek police, but according to unofficial info, a private security company will be contracted for the interior. On the morning of February 21, 2012, in the rural area near the village Amorion (Orestiada) another corpse was discovered. The dead immigrant was a woman of African origin, aged 18-25 years. 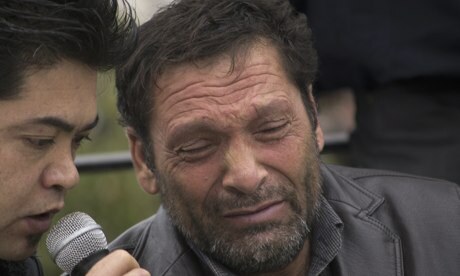 The immigrant died because of bad weather, while trying to enter the “European dream” from Turkey, via the river Evros. On February 1, 2012 another African woman was found dead near river Evros, in the area of Tychero village this time. She was about 25 years old, and died either from drowning or hypothermia, as in those days, temperatures in the border areas could fall as low as 15 degrees below zero. The confirmed number of dead immigrants in Evros river from the beginning of the year is six, while eight more are still missing, including a 9-years-old little girl. She and her grandfather were lost in the cold waters of the river. Construction of a fence along the Evros River on the Greek-Turkish border officially commenced on Monday, budgeted at 3,162.5 million euros, is due for completion in late August or early September. After an anonymous phone call made to an Afghan family in Afghanistan, policemen found the corpses of three Afghan immigrants thrown in a deserted area outside Parga (West Greece). Someone anonymously called from Athens and told the Afghan family that strangers threw the dead bodies of three Afghans behind a gas station on the Preveza – Igoumenitsa highway. Most likely the three Afghans, aged 20-30 years, died from cold as they were transferred on a truck from Athens to the port of Igoumenitsa.